Children deepen their union with Jesus by learning to pray. They learn how God creates and loves everyone … and wants us to form community with each other. They are introduced to the Bible, the 10 Commandments, the Beatitudes and the central teachings and convictions of the Catholic faith. Spiritual life is deepened in them. They learn to trust God, believe in Jesus and treat others the way Jesus does. They develop respect for God, themselves, others and the world. They begin developing as living stones of a living Church. Our parish offers both a private Catholic grade school (click on here) and, for those attending public school, our parish Children’s Faith Formation. 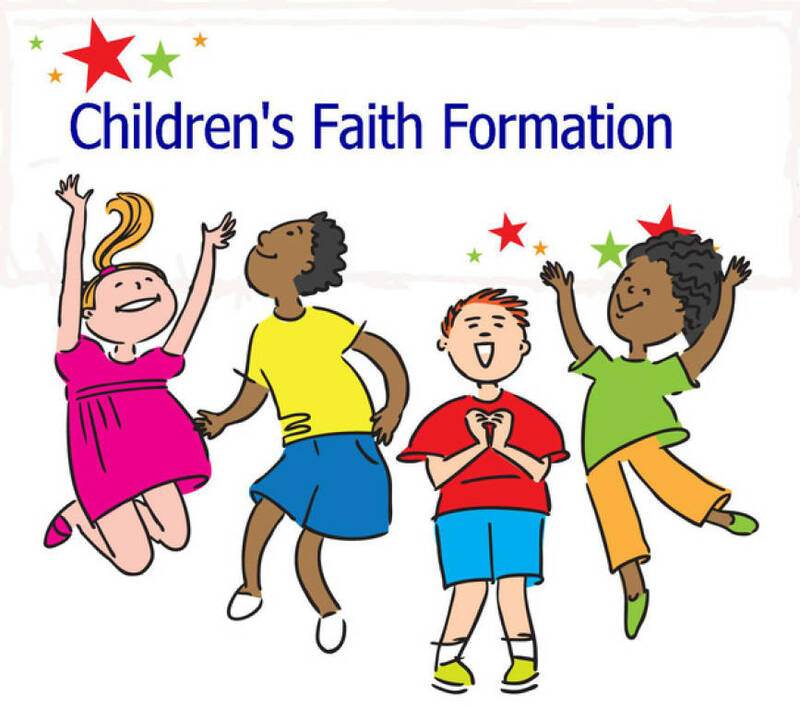 Registration for our parish Children’ Faith Formation (for those attending public school) begins the week following the July 4 holiday. (For registration form, our policies and yearly calendar, see our registration section). For more information , contact Nancy Keegan (Director of Faith Formation) or Paulette Burandt, Secrtary — both at (909) 591-7400.